Ready for shipping in 1 to 1 working days! Our printable gift cards are sent out as an attachment along with your order confirmation email. They are in DIN A4 PDF form. 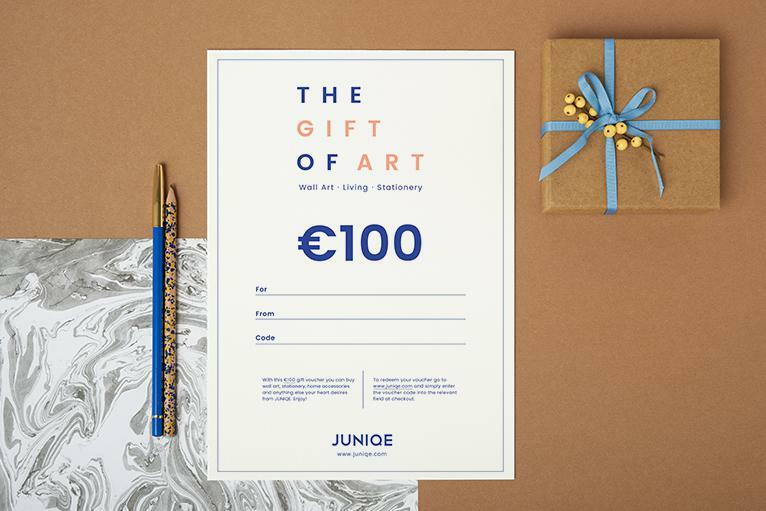 Please note: our gift cards are valid for all JUNIQE products and must be redeemed in one single order. Our printable gift cards cannot be purchased via advanced payment.